I finally got with the program. Saves a bunch of time and frustration - no more fumbling with safety pins. The clips just hold on to the race bib without poking any holes in the bib. Fully adjustable so stays on your waist. Q: How wide is the belt? 1"? 1.5"? A: It is approx. 1 inch wide. 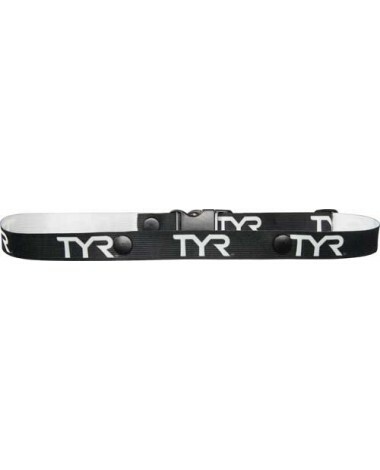 Q: I am interested in purchasing 100 of these TYR race belts for an ARMY- Hawaii Biathlon (run + swim), which we will hold in January 2017. Are there enough in stock to order 100? We would be purchasing these with a government credit card, which must be a tax free transaction. Is this a possibility? With a purchase of this size, is there any possible discount that you could provide? Our budget for races is quite limited, but I think this will be a great addition to the packets for our participants, especially considering that this will be our 1st Annual Run + Swim! Thank you for your time! A: Thank you for your inquiry. We offer promotional codes / discounts to members of our e-mail list, but do not offer structured group/team discounts directly through our web site to avoid directly competing with our dealer community. 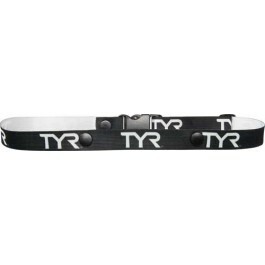 If you have worked with our company in the past and have an account setup, or do not have a dealer in your local area we would be more than happy to assist you over the phone, or put you in touch with the appropriate TYR Sales Representative. Q: The description says easy-snap buttons but I just bought the belt and I can't unsnap either button. Help?? Please contact us by email with Order #, and we will replace your belt for you. The snaps should unsnap, using a little force. Q: Do you have the race belt in BLACK? If so, I am placing the order straightaway! Thanks! A: Thank you for your inquiry. Our race belt in black is due to come back in stock mid-may. We do have color 610-red in stock now. A: Thank you for your inquiry. Unfortunately we do not offer customization on our race belts.